There are 1,500 registered IT companies in Pakistan with 10k IT graduates entering the market every year and technology services exported to other countries amount to $1.6B of total sales. 92% of the our land has cellular network coverage, making flow of information possible. Out of 47 Million Active Internet Users 42 Million access social media through mobile devices. These numbers are impressive yet we have a long way to go. How do we financially include the masses, given that we have some limitations scaling up and innovating. Answer is Fintechs. Large traditional banks are slow to turnaround. They need agility to adapt to changing technology trends, innovate and reduce time to market. To make this happen, they need organizational restructuring and recruitment of young and tech savvy resources. This, though started at some banks, is a long process and is not going to take place any time soon. For banks, to break the inertia is hard. There have been cases of intent by some banks but breaking the old ways of doing things and learning new ones isn’t easy. Fintechs on the other hand are small, agile and energetic. They are technologically smart and more flexible with risk taking. Their time to market is faster and they have capability to improve their services and pricing modes with feedback from customers rather frequently. On why do we need many fintechs, well, Pakistan is a big market with diverse set of population with respect to literacy, language and geography. It’s not practically possible for few fintechs to address all segments and serve them fully. The more incumbents we have in this space, the better it is for the customers and the economy. 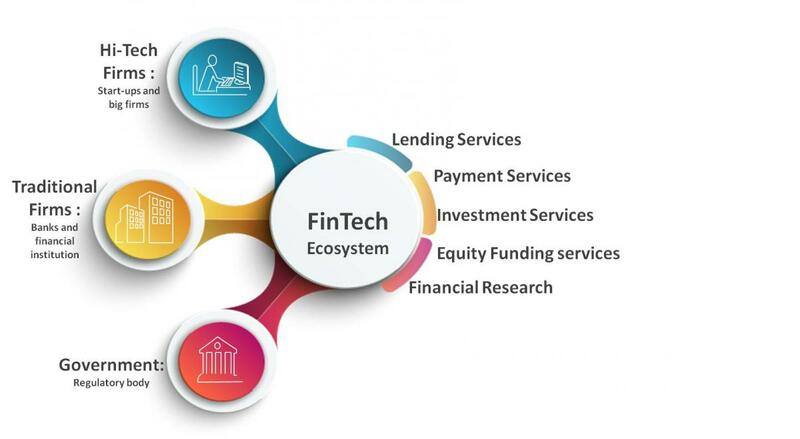 Importance of an ecosystem for digital financial services to flourish in any country cannot be emphasized more and there are multiple factors that play a key role in financial inclusion. Let’s look at them one by one. Financial inclusion starts with regulatory framework and policies formulated by the government. While a lot can still be done, but let’s take a moment to appreciate the initiatives taken so far by State Bank of Pakistan (SBP). Startup ecosystem is building fast in Pakistan. Many incubation centers and accelerators have started in past few years with some good success stories. There are around 25 or so such centers that facilitate entrepreneurs in securing funding, providing mentorship and working space with infrastructure. Planet N, 10 x, NIC , Plan 9, Nest I/O are few of the leading ones. Fintechs are starting up in Pakistan. Though, not widely known yet, overshadowed by e-commerce and delivery services providers. Karlocompare.com.pk and smartchoice.pk in InsurTech and TEZ Financial services and Credit Fix in digital lending are few to name. They are promising and are going to make an impact in their respective areas. SimSim and FonePay are competing with established branchless banking players like JazzCash and Easypaisa in Mobile Account space. Banks are making an effort to break into the fintech scene and transform themselves digitally. UBL, HBL and MCB are few to name who have made some attempts in digital financial services but we need more of such initiatives from large banks and more importantly openness to work with startups and innovate from within. Digital Lending can easily become a strong hook for customers to lure them to other financial services. Lending from informal sources is very common in Pakistan while access to lending from financial institutions is limited and difficult. This makes case of digital lending much more promising. This in turn will also increase uptake of Mobile Accounts. Both banks and fintechs have been working on this domain and there is no full scale commercial launch yet by any player in the market. This is going to be probably the most interesting development in the fintech scene if pulled off well. With rising online purchase and increasing pocket size, Pay As You Go insurance models can help increase uptake of insurance. Access through digital channels with real time subscriptions is the key to success here. Fintechs are open to partnerships. They are interested to complement services offered by banks through new digital channels with improved customer experience. They also need the capital and mentorship that conventional banks and FI’s can provide. A relationship where both parties maintain their independent states and bring in their expertise will foster innovation and efficiency. We are witnessing a large scale behavioral transformation. Penetration of smart devices is increasing along with access to 3G/4G services. All this is translating into more tech savvy subscriber base with exposure to global technology advancements. Constant push of apps and smart devices by telecom operators to their customers is actually a customer training process. This trained base ultimately becomes the ready base for fintechs to promote more advanced services. Over 108 million biometrically verified customers pose a great opportunity for fintechs where knowing customers (KYC) is the starting point. Furthermore, around dozen or so players in Pakistan hold branchless banking license. In other words, they are all ready to start developing and marketing financial services. Digital Payments, a basic use case for fintechs is getting traction as more players are collaborating to offer discount promotions to customers. Online sales like Black Friday on Daraz.pk, Google Shopping Festival and discount offers at eateries have lured young customers to start using instruments like Mobile Account and Credit/Debit cards. All we need now is to continue the momentum and keep customers engaged through innovation and new partnership models that work for everyone. While writing this article help was taken from a report originally published by Karandaaz in 2016. Writer is thankful to team at Karandaaz to allow this. 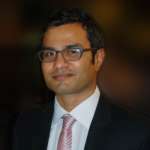 Hassan Shahid Arain is a Digital Financial Services expert and is enthusiastic about Fintechs, Startups and Digital Transformation. Where Does Pakistan Stand On The Centralized Database System?